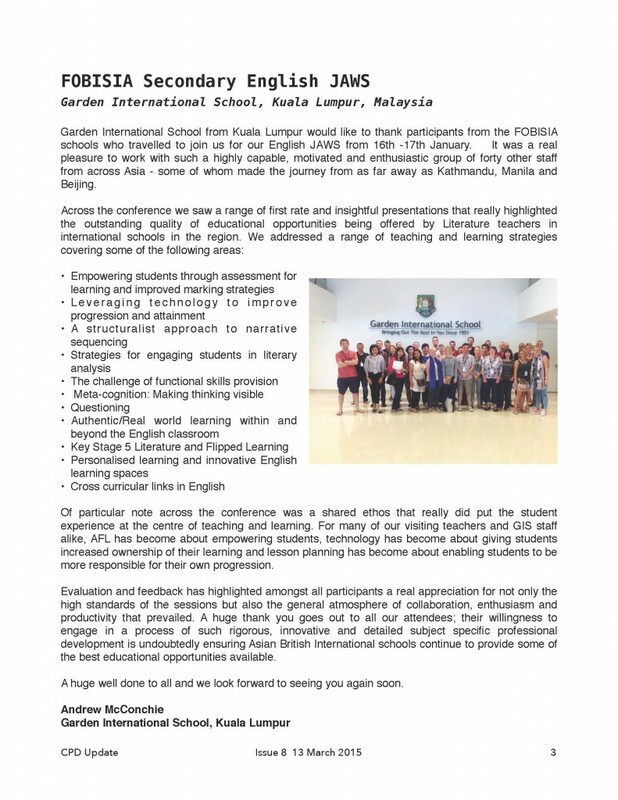 The conference will now take place on the beautiful grounds of British International School, Phuket. By relocating the conference to BISP, we are now able to significantly reduce venue overheads without impacting on the quality of the conference. 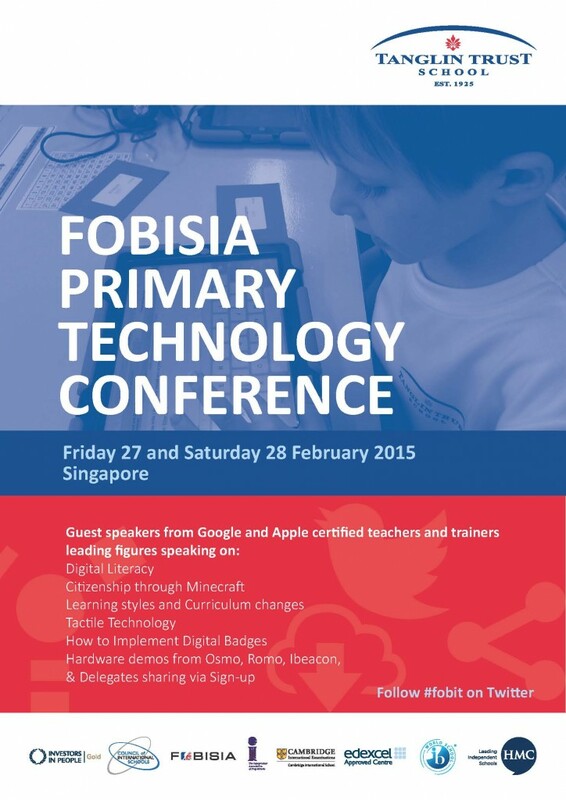 • For schools already registered – Unless we hear from you by Monday 27th April 2015, FOBISIA will automatically refund the difference between the two conference fee. Our key note speaker has not changed. It will continue to be delivered by ‘Crossroads’ founder, David and Sally Begbie. Crossroad is an organisation of outstanding repute in the field of Corporate Social Responsibility. It is dedicated to ‘connecting people in a broken world’, by acting as a crossroads for those who need help and those who can help. David will also lead the ‘Struggle for Survival Simulations’ where participants try to earn enough to survive and pay for rent, food, sanitation, medical needs and education. This simulates the pressures felt by many globally, and explores ways to break the web of poverty. We will continue to explore the themes of Technology, Career Advancement, Global Sustainability Issues, Primary JAWS, Secondary JAWS and Whole School JAWS. We have received a significant number of excellent application and look forward to receiving more. All applications for workshop leaders will close on Friday 29th May 2015. Successful workshop leaders will be informed in June. The workshop leader application form can be found here. Given the relatively low price of the conference, it is now not possible to offer conference fee discount for workshop leaders. Please see the following attachments. Are we fit for purpose; is our curricular fit for purpose; are our schools fit for purpose? We are pleased to invite you all to the inaugural FOBISIA Teachers’ Conference, ‘Fit for Purpose?’, at the JW Marriott Phuket, Thailand – 17th-18th October 2015. The Conference will explore the themes of Technology, Career Advancement, Global Sustainability Issues and Job Alike Workshops (Primary, Secondary & Whole School), considering our ‘fitness for purpose’ within each theme. This will be a FOBISIA conference with a difference; not aimed at senior management, but at you, teachers. Throughout the programme there will be sessions on each theme, many of them run by you. Additionally, there will be great networking and social opportunities, and all beside a beautiful beach in a national park. If you wish to continue on to a half term holiday in Phuket, there will be special packages available. David Begbie of the Crossroads Foundation, a Hong Kong based non-profit organisation, dedicated to ‘connecting people in a broken world’, by acting as a crossroads for those who need help and those who can help. The Crossroads Foundation works through four avenues: Global Distribution – where need meets resources, Global Hand – partnering for a better world, Global X-Perience – stepping into another’s shoes and Global Handicrafts – fair trade for a fairer world. David also leads the Global X-Perience. In ‘Struggle for Survival Simulations’, participants try to earn enough to survive and pay for rent, food, sanitation, medical needs and education. Those that can’t, end up in the hands of loan sharks. This simulates the pressures felt by many globally, and explores ways to break the web of poverty. Responses of Previous Participants; ‘Everyone should do this’, Jimmy Wales, Wikipedia. ‘Beautifully done’, Sir Richard Branson, Virgin. ‘A profound experience that reminds us of the plight of millions’, Ban Ki-moon, United Nations. A great professional development opportunity; we are inviting applications from any delegates who would like to lead a workshop or discussion on one of the Conference Themes (an application pro forma is attached). If interested, please let us know by sending a completed Application Form to Tania Donoghue at Tania.donoghue@fobisia.org. A successful workshop leader will be offered a 50% discount on the Conference Fee. Conference Fee (excluding hotel accommodation) is SGD 555, inclusive of two day Conference, Welcome Drinks on Friday and Dinner on Saturday. Completed Registration Form and transfer of fee evidence to; Gurmeet Kaur at gurmeet.kaur@fobisia.org by 31st May 2015, please. We have an Early Bird offer, with 30% off the fee at SGD 389, if you pay by 14th February, 2015. What ideas do you use in your classroom that work well in developing the learning skills? How do your students know where they are with their learning skills? How do they know what the next steps are? For further details, please refer to the attached flyer. Please check below for the latest copy of the FOBISIAN Magazine. This Job Alike Workshop is an opportunity for FOBISIA Pastoral Leaders across the region to get together to share good practice and develop new ideas about pastoral care. All participants will be actively engaged in creating the agenda to ensure that the two day event meets the needs and wishes of those attending. All sessions will be delivered by those participating in the workshop. The above sessions are merely suggestions and may be adapted or dropped according to the wishes of those involved. It is hoped that the agenda will evolve based on the experience and interests of those attending. A Google Drive Folder will be shared with all delegates to build the agenda collaboratively as well as sharing resources in the run up to this event. To register for the event please use this link. The fee for attending will be $100BND. Suggested accommodation for the event is the Radisson Hotel. The rate per night is $150 BND+10% tax. Add an extra $16BND for breakfast. To contact the hotel please email reservations.brunei@radisson.com. The fee will include meals, transport to and from the hotel plus relevant resources. 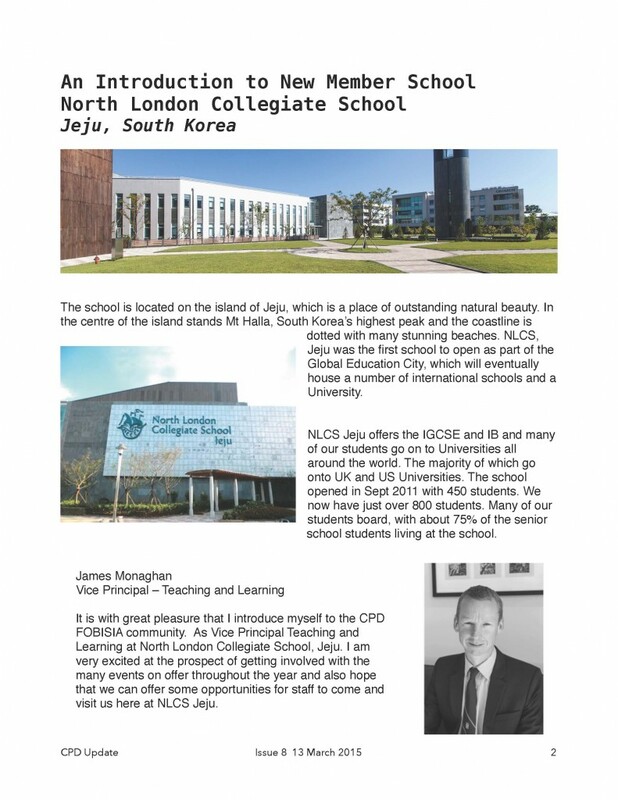 Any further enquiries please email: richard.humes@jis.edu.bn. 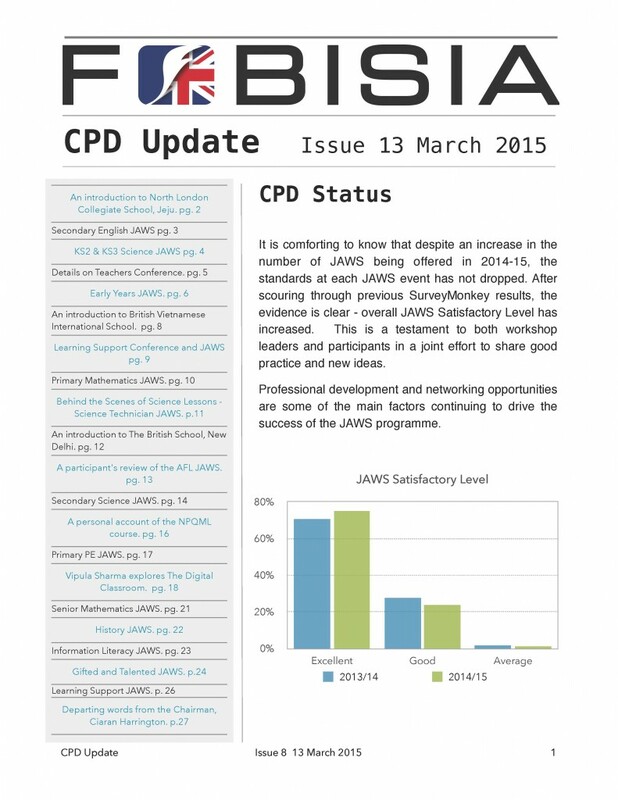 tags: February 2015, Fobisia, Fobisia JAWS, Pastoral, Senior. Cost : $300 HKD for lunch, beverages and snacks on both days. Suggested Hotel : L’hotel Causeway Bay, $935 HKD/night (tax included). Breakfast $120 HKD extra. This JAWs is relevant to all colleagues who are currently leading the provision and development of G&T within their school. This Job Alike Workshop is an opportunity for you to network with other FOBISIA members, to share good practice and co-construct new knowledge. All participants will be actively involved in the planning of the agenda and will be provided with opportunities to contribute. All sessions will be led and facilitated by the participants. We want to make the sessions as practical and as useful as possible, therefore, we have planned in a number of sessions where the sharing of ideas and resources can take place. Other sessions on the agenda will be completed following input from the registered participants. Additional topics can be added.